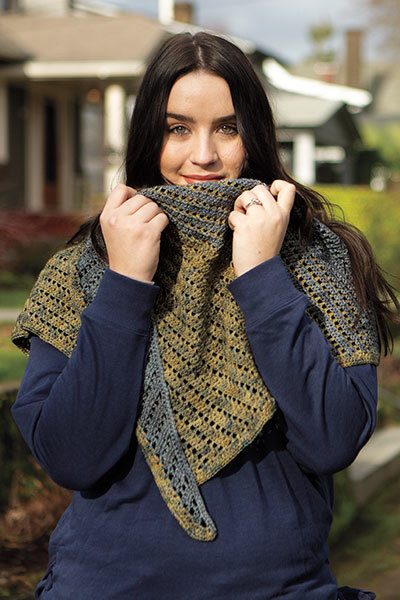 Like ripples of water drifting across the bay, the cool colors and easy stitching of this crochet shawlette make for a relaxing spring or summer project. 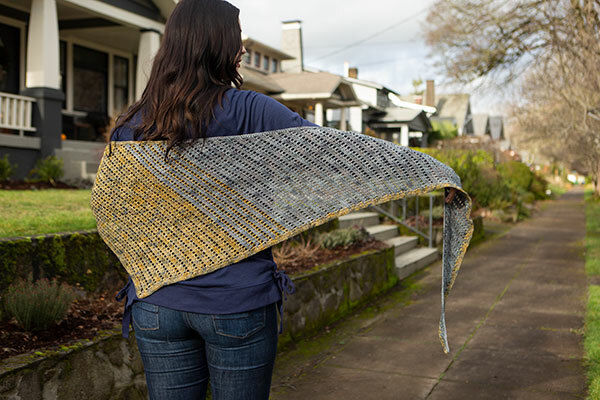 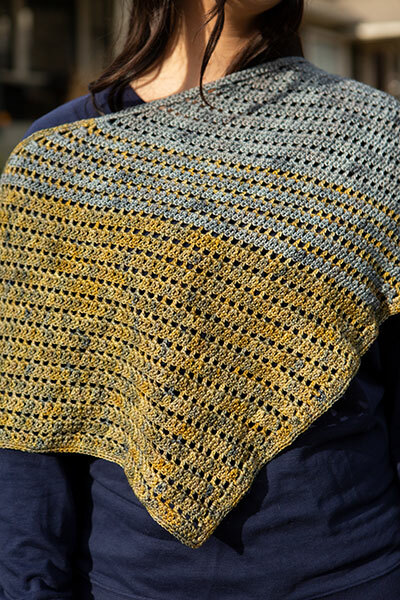 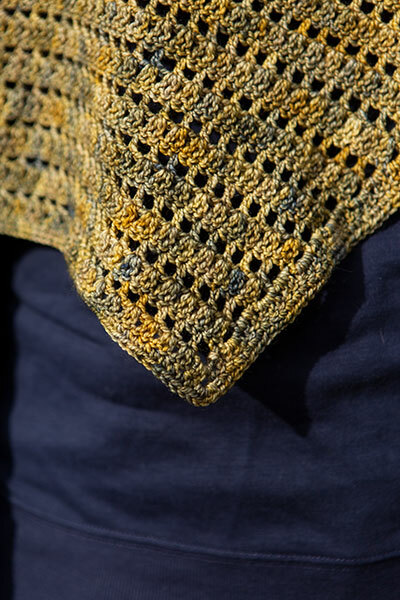 Beginning in gray at the left side with just 3 stitches, the shawl is worked across in ever-increasing rows to a section of gray and gold striping, then it changes to the cool gold of the third and final section. 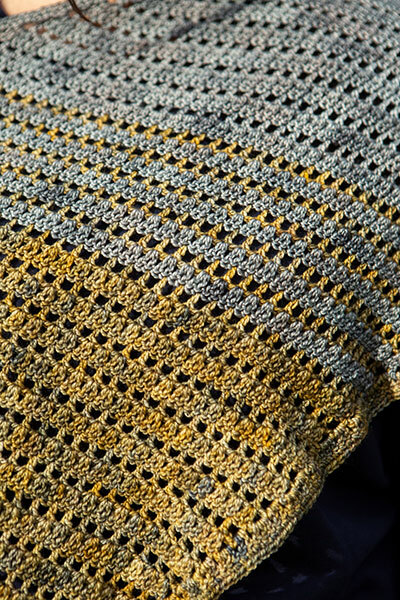 The lower border is done in the gold yarn to add contrast and balance. 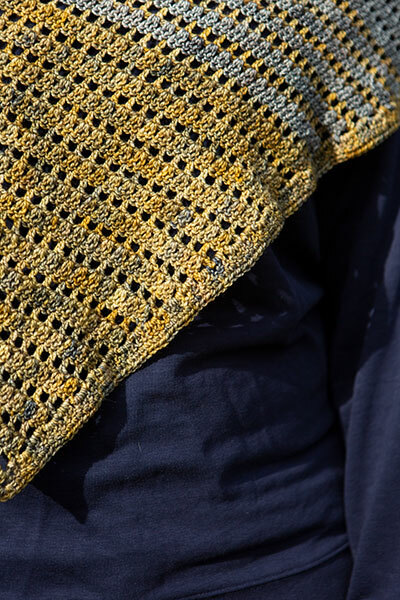 Basic crochet stitches are used in a simple 2-row repeat to make this an easy, yet interesting crochet project.